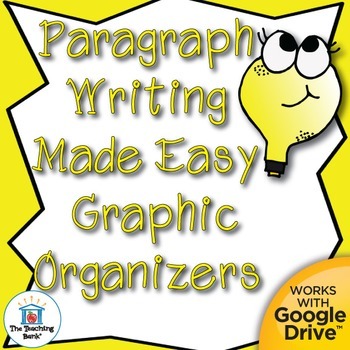 Paragraph Writing Made Easy Graphic Organizers, in both a printable and Google Drive™ format, provides a clear formula for students to learn and practice writing complete paragraphs in a simple, clear, easy to follow format. 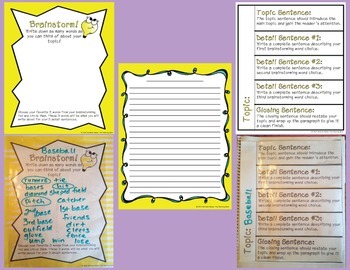 This paragraph writing format contains graphics and foldable/interactive notebook guides that can be used for a "Paragraph of the Week" activity or a one time lesson on paragraph writing. 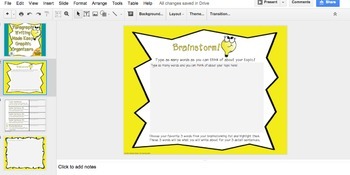 The file also includes a link and instructions for the use of the product in a Google Drive™ format that can be used for Google Classroom or 1:1 classroom. • File link and instructions for the Google Drive™ format file. →Please download the free preview so you can see all parts of this product (including pictures of the product in use) prior to purchasing to make sure it will fit your students' needs. Email with any questions you may have.